Here you can find out some of the past and present events in the AVI & greater adoption community. If you would like to request us to post something or would like to find out if there is anything going on in your country please go to the Contact page. We encourage you to join our social networks, especially the AVI Facebook Page (there is also a Facebook Group for members only), for regular and current updates. Please ‘like’ this page to keep in touch with the latest news and we appreciate the support. The AVI FB Page can be found here: AVI Facebook Page. If you would like to see the full call for participants or are having issues with the form, PM me or email me at bert.ballard@pepperdine.edu and I will forward it along. Please share with anyone who might be interested or anyone who might have connections. Much appreciated! 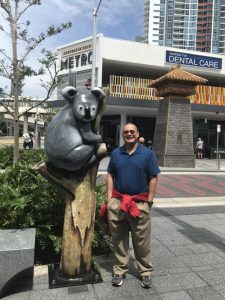 Dr Bert Ballard visit to Australia 2018 – Photo on the Gold Coast where he is a visiting researcher at Griffith University hosted by Dr Patricia Fronek and collaborating with Dr Indigo Willing OAM from the Griffith Centre for Social and Cultural Research. 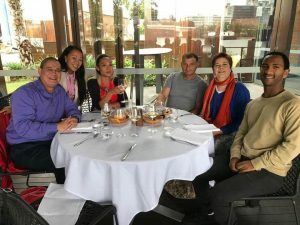 Dr Bert Ballard (VN adoptee and communications researcher), Dr Indigo Willing OAM (VN adoptee, social researcher and AVI founder), Anna Princess Kopeikin (Jigsaw Rep and Social Work degree candidate), Hinanyi Scanlon and her partner, and Tamru Leckenby (Ethiopian adoptee) at recent adoptee catch up. 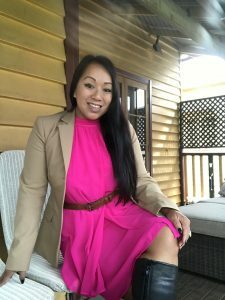 Many of us met through Adopted Vietnamese International (AVI) and Intercountry Adoptee Voices (ICAV) founded by VN adoptee Lynelle Beveridge. 2018 almost over! Let’s get ready for 2019! Dr Indigo Willing, Founder of AVI. Greetings 2018 / 2019 plans ahead. Hello and long time, no posts! The AVI website and blog has been in archive mode for the past couple of years as the rise of social media and smart phones rapidly changed how we communicate. Our activities have mostly moved to our AVI FB Community Page and AVI FB Discussion Group where there are over 1000 members, new posts by members almost weekly. 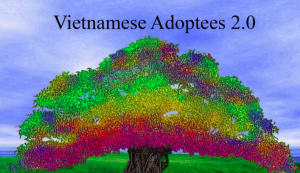 On the discussion group especially, there are lots of fun Vietnamese adoptee tips on travel, historical orphanage photos, tips on searching and current news, events and research shared by VN adoptees from around the world. However, in 2019 we will be working towards updating this website incrementally and progressively when windows of time are available. If you have info you would like to share or ideas join our discussion group or ‘like’ our community page and create a post or send us a message. Thank you everyone for your active involvement and support for over 18 years now (AVI was founded in April 2000 on the 25th anniversary of Operation Babylift and the end of the Viet Nam / American War). Founder – Adopted Vietnamese International, Social Researcher, Community Volunteer and Vietnamese Adoptee. 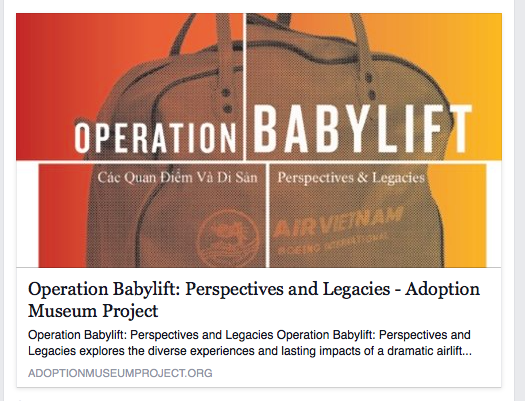 Sending warm and supportive thoughts to all our friends and peers who were part of Operation Babylift, April 1975 and adopted from the Vietnam War era and the following period immediately after. It’s a very meaningful and important historical month for everyone adopted from Vietnam, before, during and after OBL, as it marks the close of the Vietnam War era that shaped all our lives forever. Peace, respect and supportive energies to you all this month. As part of the OBL Exhibit, Presidio and Adoption Museum Project, San Fran, AVI were proud to be involved and wish to thank the organisers and everyone involved for their consideration, important dialogues and more. Special thanks to all the adoptees for continuing to represent. 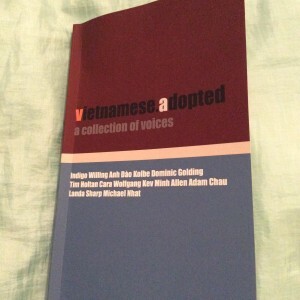 Vietnamese.Adopted: A Collection of Voices is a group of writings each in their own form and style, un-censored in content or subject matter, allowing each person to speak on what being a Vietnamese Adoptee, Adopted Vietnamese, or Vietnamese War Orphan, is to them, as well as in relation to the greater Vietnamese and World communities. 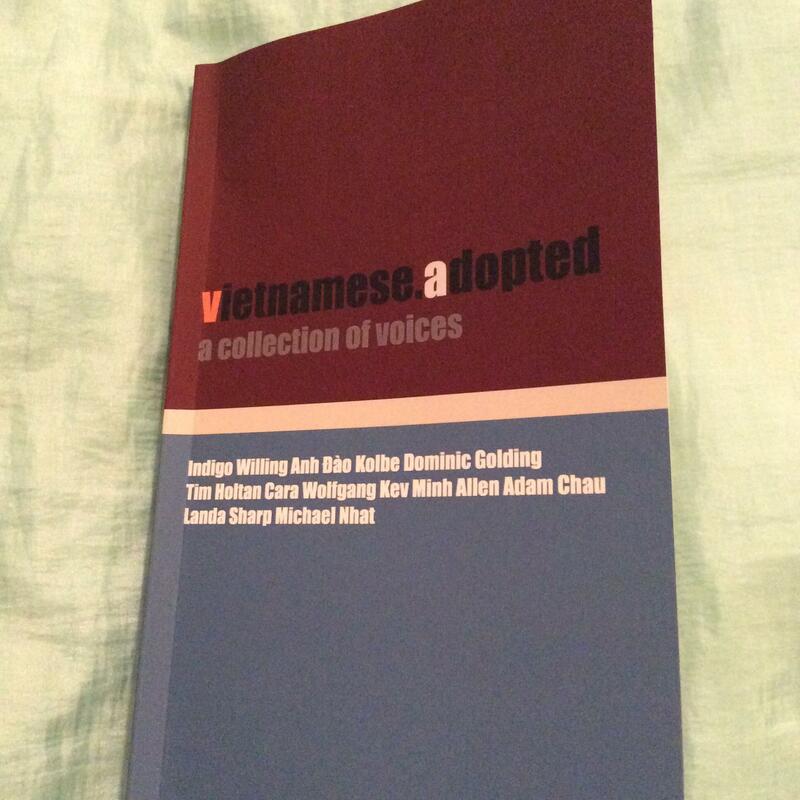 Shaped by their own experiences, observations, country, and language, it is the goal of this book to make these narratives, opinions, and perspectives available to the greater Adopted and Vietnamese communities. 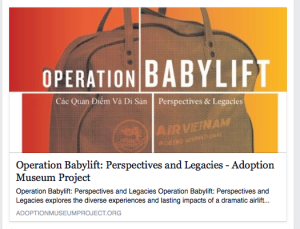 The AVI team would like to send their thoughts to everyone who was part of Operation Babylift in April 1975 which refers to a series of airlifts of thousands of children from Vietnamese orphanages to the West. April 1975 also marks the close of the Vietnam War era adoptions, and the end of the war so it is also a profoundly meaningful time for all individuals who were adopted because of the war and its social consequences both before, during and after 1975. Indeed, many such children were adopted from Vietnam into Western families from 1955 up to the ‘boat refugee’ migrants in the 1980s. AVI would like to acknowledge all these individuals at this time. AVI plans to feature a series of photos from 40th anniversary reunions of adoptees, and some of their thoughts in the near future. We acknowledge and welcome the newer generations who follow as well into the Viet adoptee community. Connect, empower, renew. Congratulations to Matthew Rooke (Australia) and David Nguyen (USA) who were the winners of the Vietnam Volunteer Network fundraiser draw. $850 was raised to go towards VVN projects for children in the Go Vap orphanage, and impacted by Agent Orange and land mines. Share the link below and donate any amount to the Vietnam Volunteer Network (VVN) to go in the draw to win a great skateboard package! Even as little as a dollar, every bit counts. *Due to posting and handling costs we can only give the prize away to residents in Australia. Giveaway closes 30 Jan 2014. 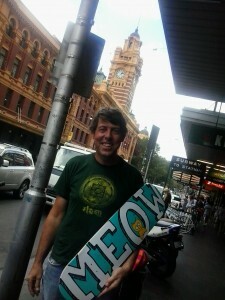 Prize is a MEOW skateboard prize with Trinity trucks and Spitfire wheels donated from Extreme Skates, QLD – to raise awareness and funds for the Vietnam Volunteer Network (VVN) whose work includes assisting kids at Trung Tâm Nuôi Dưỡng Bảo Trợ Trẻ Em Gò Vấp (Go Vap orphanage) in Vietnam as well as those affected by landmines and Agent Orange. Happy New Year of the Snake 2013!!!! Hi folks and HAPPY NEW YEAR!!!! 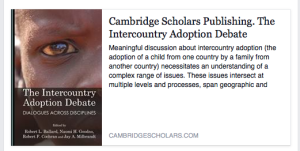 Don’t forget that you can keep up to date with a range of public announcements posted up over at https://www.facebook.com/AdoptedVietnameseInternational – including a screening of Operation Babylift in California soon. AVI and the AVI team. Thank you to Australian adoptee Dave Medhurst and family for sharing updated photos of the Theosophic Thong Thien Hoc orphanage from his recent trip back to visit his Vietnamese family. Read more here. Vietnamese adoptees Dr Indigo Willing and Dominic Golding joined Korean adoptees HeeRa Heaser and Dr Jessica Walton for a panel talk chaired by Korean adoptee author and activist Jane Jeong Trenka in Melbourne, October 2012. The panel talk was part of the 10th Australian Adoption Conference. See Day 1 and Day 2 of the program here. In a later presentation, a key note featuring Jane Jeong Trenka, a call for signatures for a petition to include overseas mothers in an apology to mothers also featured at the conference. Don’t forget to visit the AVI Facebook Page for more regular updates about what’s going on in our community.